The carrier USS Harry S. Truman (CVN-75) entered Norfolk Naval Shipyard for a ten-month repair and modernization period, the Navy announced on Thursday. Truman’s planned seven-month deployment, the first that was slated to operate under the Navy’s 36 month Optimized Fleet Response Plan (O-FRP), was extended by an extra month at the behest of the Secretary of Defense to continue strikes against ISIS as part of Operation Inherent Resolve. The additional month combined with a condensed availability that differed has made the effort, “a large and complex availability,” said Deputy Project Superintendent Bobby Leigh in a Navy statement. “It’s a complex availability with a heavy contracting package,” said Truman Project Superintendent Mike Jennings. On Aug. 22, HII was awarded a $52 million contract that covers, “technical data, engineering and management support, design integration, support services, manpower, prefabrication, material procurement and planning. Work is expected to be completed by September 2017,” according to a release from the company. “Truman’s PIA will total roughly 499,773 man-days, 51 percent of which will be completed by contractors, Alteration Installation Teams, and the ship’s force,” read the statement. The following is the Sept. 1, 2016 release from the service. NORFOLK, Va. — USS Harry S Truman (CVN 75) arrived at Norfolk Naval Shipyard (NNSY) Aug. 25 for its 10-month Planned Incremental Availability (PIA), which will officially begin Sept. 27. 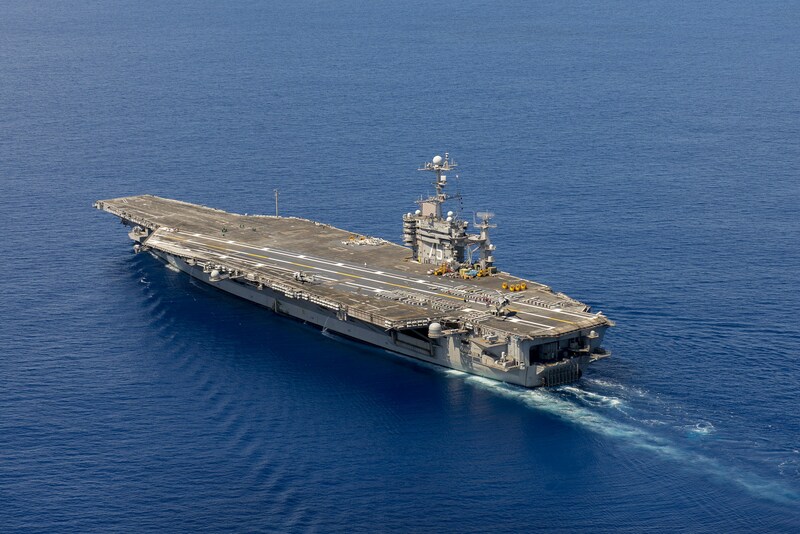 Truman’s PIA will total roughly 499,773 man-days, 51 percent of which will be completed by contractors, Alteration Installation Teams, and the ship’s force. In addition to NNSY’s and HII’s work, critical work during the availability includes a contractor-performed upgrade to the Consolidated Afloat Networks and Enterprise Services (CANES), the Navy’s next generation tactical afloat network, which enhances operational effectiveness and provides better quality of life for deployed Sailors.